2. The Sellers will attempt as far as possible to comply with delivery dates provided. However, subject to Clause 8 below and not withstanding any delivery date mentioned in the contract time shall not be of the essence so far as delivery is concerned. 3. Where the Buyers order goods which under the terms of the contract are to be delivered over a specific period, on the expiry of that period any goods remaining undelivered will be delivered to the Buyers and invoiced in accordance with the terms stated when the contra was entered into. 4. Where the contract provides for delivery of the goods by instalments, each instalment shall be deemed to be the subject of a separate contract and non-delivery or delay in delivery of any instalment shall not affect the balance of the contract or entitle the Buyers to cancel same. 5. All quotations are made on the basis of prices subsisting on the day of the quotation, and the Seller reserves the right to amend the quoted price on the event of an increase in the cost of new materials, labour, overheads or other expense of the Seller affecting the quoted price before the time of delivery. 6. It is a term of this contract that the Buyers shall pay all sums due to the Seller on the date specified in the invoice for payment and if they fail to do so the Seller may (a) suspend deliveries under any or all contracts with the Buyers while the Buyers are in arrears and/or (b) give notice in writing that if any such sum or sums shall remain unpaid for 14 days any or all such contracts may be cancelled and if all such sums are not paid in that time may a further notice treat any or all such contracts as determined and claim damages as for wrongful repudiation by the Buyers. If the Seller believes the Buyers to be insolvent it may suspend deliveries until special terms of payment are agreed. 7. Deliveries may be suspended pending strikes, lock-outs, industrial disputes, fire, stoppages of transport, force majeure, prohibition of export or import, government decrees of requirements, war or any contingency of any kind whatsoever beyond the control of the Seller causing a short supply of labour, fuel or raw materials or otherwise howsoever impending or interfering with the manufacturer, use, delivery or carriage by land or by sea of goods of the description bought or sold. It any such suspension should continue for three months then the contract so affected may be determined at the option of the Seller or the Buyers, provided that the Seller shall not be liable for any loss or damage caused by such suspension or determination. before they have been used or processed: or (b) Any detects in the quality or state of the goods which would not have been apparent on a reasonable examination, unless such defects shall have been discovered within three months after receipt of the goods or of the Sellers invoice whichever be the earlier and the Buyer shall have given the Seller forthwith upon such a discovery a written notice specifying the matters complained of and shall thereafter afford the Seller a reasonable opportunity of inspecting the goods in their alleged defective state. 9. No responsibility will be accepted by the Seller in respect of non-delivery of goods, unless the Buyers notify the Seller, within 21 days from the date of receipt by the Buyers of the Sellers invoice. If consignments are delivered damaged or with part contents missing, they must be signed for accordingly and notification sent to the Seller within 3 days of delivery. 10. In the event of refusal by the Buyers to accept delivery, any storage of the goods at the Sellers premises (or elsewhere) will be at the expense of the Buyers and at the Buyers risk, and the Seller shall be entitled to charge the Buyers shall pay such reasonable commercial rent for such storage as the Seller shall stipulate, but without prejudice to any other rights of the Seller under these conditions of sale or otherwise. 11. Although great care is taken in the choice of materials and ink used in the manufacture of the goods, their suitability for packing any particular commodity must be at the Buyers risk and, unless specially agreed in writing by the Seller, no warranty or condition is given or shall be implied that the goods supplied are suitable in size, shape, capacity, quality or otherwise for the purposes for which the goods are bought. 12. TITLE AND RISK. From the time of delivery the goods shall be at the risk of the Buyers who shall be solely responsible for their custody and maintenance as if he were the owner, but unless otherwise agreed. the goods shall remain the property of the Seller until the price has been paid in full and unconditionally or until prior resale by the Buyers who shall sell as principal only. While the ownership of the Seller the Buyers shall keep the goods separate and identifiable from all other goods in its possession. If the goods are converted into or incorporated with other products while in the ownership of the Seller then ownership in such other products shall vest in the Seller as if simply the solely the goods until such payment or resale as aforesaid. In the event of any resale by the Buyers of goods or products the beneficial entitlement of the Seller shall attach to the proceeds of to any claim of the proceeds so that such proceeds or claim shall be held for trust for the Seller. In the event of failure to pay the price in accordance with contract the Seller shall have power to resale the goods or products alter reasonable notice, such power being additional to any other power of sale arising by operation of law or implication or otherwise. Whist the Seller retains title to goods, it shall be entitled to enter any premises to inspect the goods and, if the Buyers shall fail to make due payment or them to retake and reclaim the goods. (c) give written notice that if any sum remains unpaid for 2I days thereafter all contracts may be cancelled and. or damages for wrongful repudiation by the Buyers. 14. Agreements to hold goods in stock for call off are subject to a 4 month time limit unless otherwise agreed in writing. Storage costs will be charged to the buyers thereafter. Price variation: Estimates are based on COMPANY NAME Ltd’s current costs of production and, unless otherwise agreed, are subject to amendment on or at any time after acceptance to meet any rise or fall in such costs. Tax Prices: quoted are net of VAT. VAT will be charged at the current rate. Preliminary work: All work carried out, whether experimentally or otherwise, at customer’s request shall be charged. Proofs :In the case of printed bags, alterations from the original copy on and after the first proof, including alterations in style, will be charged extra. No responsibility will be accepted for any errors in proofs which have been passed by the buyer. Suitability of goods: For any specific purpose cannot be guaranteed by the sellers. Printing: We shall endeavour to match a colour as close as possible but we cannot guarantee an exact match. Material: Whilst every effort will be made to supply material in accordance with the quality of samples submitted or quoted for, the contract is not a contract of sale by sample. Industry tolerance: Quotations are conditional upon a margin of 10% being allowed for overs or shortage, the exact quantity delivered will be the quantity invoiced. Thickness in materials and size given is calculated at +/- 10%. Delivery of work shall be accepted when tendered and thereupon, or, if earlier, on notification that the work has been completed the ownership shall pass and payment shall become due. Unless otherwise specified, the price quoted is for delivery of the work to the customer’s address as set out in the estimate. A charge may be made to cover any extra costs involved for delivery to a different address. Should expedited delivery be agreed an extra may be charged to cover any overtime or any other additional costs involved. Failure to deliver within the time stated, on the part of the seller shall not entitle the buyers to any claim upon the sellers by reason of such a failure. Delivery times are approximate and commence from confirmation of all order details. Please note that late payment may cause a delay in the delivery of your order. Claim limitation: Any claim by the buyer that the goods are not in accordance with the specification is limited to the replacement by the sellers of the goods supplied. Claim for damage or damage or non-delivery: Will not be entertained by the seller unless they are notified in writing within 14 days of the invoice date and are signed for as damaged on the delivery note. Orders placed by 1.00pm will be dispatched for same day delivery*. *Same DAY delivery does not apply in the event of service interruptions or failures caused by events beyond Pro-Nutrition Ltd’s control. You can return your purchase to us in its original condition within 14 days of the date you received the item, we will issue a full refund for the price you paid for the bags but not for the delivery. You can cancel or amend any stock bag order placed with us, provided that the order has not yet entered the dispatch process. 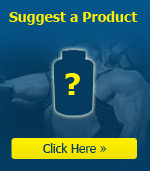 Simply contact us on: info@supplementoutlet.ie.